The latest actions, announced today, also target auto-loan application fraud and deceptive practices related to add-on products and services. Jessica Rich, director of the FTC’s Bureau of Consumer Protection, outlined the “Operation Ruse Control” initiative. 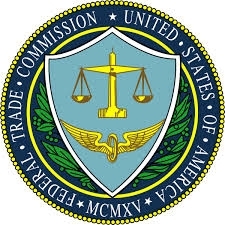 The FTC is pairing up with 32 enforcement agencies to conduct a “nationwide and cross-border crackdown on deception and fraud in the auto marketplace,” the agency said. It included 252 actions that include charges of deceptive advertising, criminal automotive loan application fraud, odometer fraud and deceptive marketing of car title loans. There were 187 enforcement actions in the U.S. and 65 in Ontario and British Columbia, Canada, since the FTC’s last sweep in January 2014. While the U.S. civil charges can carry hefty fines, criminal charges carry the possi-bility of prison time. For example, a salesperson charged with conspiracy fraud could face up to 5 years in prison. A conviction against a dealer for wire fraud could carry a 20-year maximum sentence and a finance manager convicted of bank fraud could serve up to 30 years in federal prison, said Joyce White Vance, U.S. attorney for the Northern District of Alabama. Among the six new actions announced by the FTC are its first auto enforcement cases involving add-on products or services. The six new FTC cases include more than $2.6 million in judgments. The FTC defines add-on products as products or service a dealer or other third party adds to the vehicle lease or finance contract. A few examples Rich gave during a media conference call included undercoating, extended service contracts and road service. For the first time since the FTC received expanded authority over auto dealers under the Dodd-Frank Act, it took two enforcement actions involving add-ons, specifically, biweekly payment programs offered to consumers. The FTC charged National Payment Network Inc., a San Mateo, Calif., provider of loan acceleration programs, with deceptively pitching consumers an auto payment program -- both online and through a network of authorized auto dealers -- that it claimed would save consumers money. But, Rich said, NPN did not disclose that the significant fees it charged for the service often cancelled out any real savings. Those enrollment fees averaged $775 on a standard five-year auto loan, Rich said. In a related case, the FTC said that Matt Blatt Inc. and Glassboro Imports, which owns two dealerships in New Jersey, failed to disclose or adequately disclose the fees associated with NPN’s add-on service. The FTC said that many consumers would not actually save any money because of the fees. Matt Blatt received a commission for each of the more than 1,000 consumers they enrolled, Rich said. NPN will refund more than $1.5 million to consumers, and waive another $949,000 in fees to current customers. Matt Blatt also will pay $184,000 to the FTC as part of the settlement, Rich said. In May, the National Automobile Dealers Association had alerted its members in a memo that the FTC was cracking down on biweekly payment products arranged in the finance and insurance department and that the FTC had issued civil investigative demands to dealers in connection with such products. NADA spokesman Jared Allen said that none of today’s FTC announcements are “indicative of any systemic problems within the auto industry -- nor, as the agencies acknowledged, are they reflective of the overwhelming number of honest businesses that make up the nation’s franchised dealer network. “While we have no firsthand knowledge of the facts surrounding these individual cases, we share the agencies’ view that there is absolutely no place for fraud or de-ceptive practices in any part of the business community,” he added. NPN said it has agreed to the settlement in connection with the FTC’s investigation into biweekly products sold by auto dealers. Matt Blatt has not sold or used the biweekly payment plan for a year and a half now, Buehler said. But it has set up a phone number and email contact address for customers who still have the product who might have questions or concerns about the payment plan program. “We are pledging to answer all of those phone calls and emails within 24 hours,” she said. Three auto dealers settled charges that they ran deceptive ads that violated the FTC Act and the Truth in Lending Act and/or Consumer Leasing Act, Rich said. She said the ads promoted sales, leases or financing that seemed like good deals until fine-print disclaimers canceled it out. In other instances, the disclaimers did not disclose relevant terms, such as required down payments. The three dealers Rich listed as having settled are Cory Fairbanks Mazda of Longwood, Fla., Jim Burke Nissan of Birmingham, Ala., and Ross Nissan of El Monte, Calif. The proposed settlements in these actions prohibit the dealerships from misrepresenting the purchase cost or any other material fact about the price, sale, financing or leasing of a vehicle. Jim Burke Nissan and Cory Fairbanks Mazda are also prohibited from representing that a discount, rebate, bonus, incentive or price is available unless it is available to all consumers. They also must clearly disclose all qualifications and restrictions. Calls to Cory Fairbank Mazda and Ross Nissan seeking comment weren’t returned. There is no specific demographic for the victims in these cases, Rich said. In the case of deceptive advertising, it can be far reaching given how many people read newspaper ads or go online searching for vehicle pricing, Rich said. “The victims are nationwide and we don’t have a total count, but it’s a significant number,” Rich said. But it is more often poor people or minorities that suffer the greatest, she said. “In both the advertising deception and in these loan modifications, companies in general, not just auto dealers, exploit language differences to exacerbate the deception problem. We have seen ads that put the ad in Spanish, but the disclaimer in English,” Rich said. Vance said she finds loan fraud to be most offensive. In January 2014, when Operation Steer Clear was announced, the agency warned that it wouldn’t let up. It’s doing the same now.